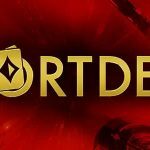 The world’s most popular free-play poker site has followed in the footsteps of real money poker rooms such as Americas Cardroom and Party Poker in launching the three-handed hyper-turbo game where each contest ends in a matter of minutes and the winner takes home the entire prize pool. 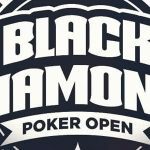 That prize pool can reach jackpot proportions, anywhere between two and eight times a single buy-in. 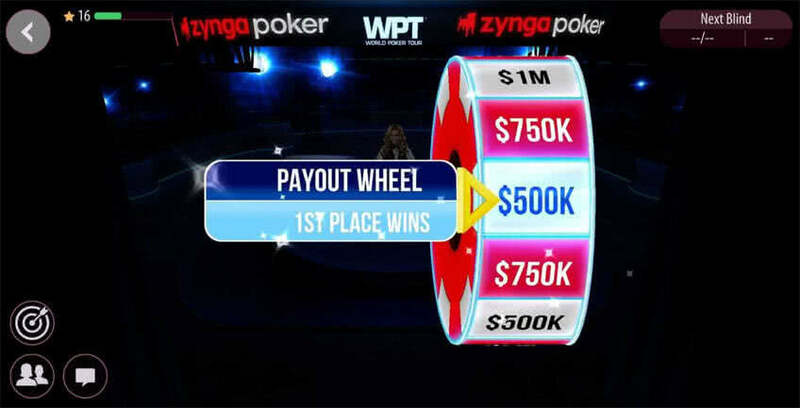 Spin & Win was developed in collaboration with the World Poker Tour, a Zynga Poker partner for the last year. The WPT-branded action on Zynga Poker allows players to get a feel for real money poker action while playing for chips that have no redeemable value – although Zynga players spend millions of dollars every year to purchase those chips. If the new Spin & Win catches on like it has at real money poker sites under names such as Jackpot Poker at Americas Cardroom and SPINS at Party Poker, Zynga players will be spending even more. Of course, that’s the whole idea for launching the new Sit & Go lottery-style jackpot game. Our players have asked for faster-paced tournaments with bigger rewards. 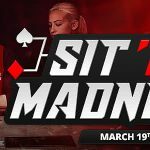 We believe Zynga Poker’s new Spin and Win tournament mode truly puts our players in the hottest seat at the table and gives players the most compelling virtual experience in the sport of poker. Spin & Win is a short tournament (Sit & Go) that begins once three players enter and will typically end within 5-8 minutes. A spin of the wheel determines the prize pool that’s between 2x and 8x a single buy-in. The winner takes the entire jackpot. Aiming for a large prize while risking only a single buy-in in a game that’s fast-paced and ends in just a few minutes seems as though it would be custom-made for social poker players. It’s tournament poker without investing the hours of time that multi-table tournaments require. 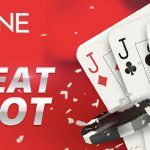 The CEO of the World Poker Tour, Adam Pliska, called Spin & Win an “innovative addition” to the offerings available at Zynga Poker and said that the game gives loyal players another unique way to engage with the World Poker Tour. Just like real money poker sites, Zynga Poker has a VIP program that allows players to climb tiers and receive added benefits. Those perks come in the form of special game modes and chip package offerings. Zynga Poker has experienced a decline in revenue as of late. The game is downloadable free of charge on Google Play and the App Store, and can be played via Facebook. Recent changes that Facebook made with regard to social sharing is part of the reason for the revenue decrease. Releasing a new quick-action game like Spin & Win may attract some of the customers and revenue lost, at least the players who like fast and loose play with the possibility of a big payout in chips.